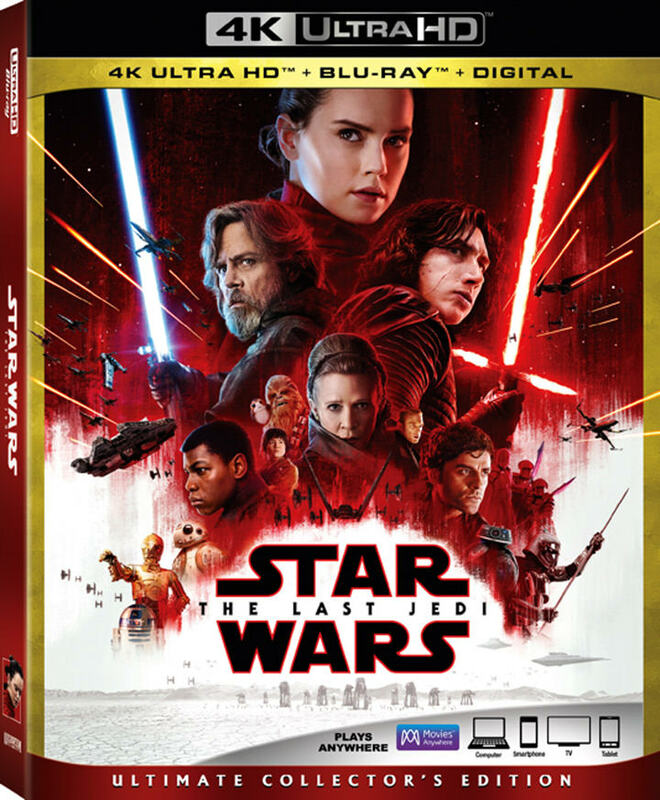 Star Wars: The Last Jedi will will finally come home on 4K Ultra HD Blu-ray and Blu-Ray on March 27! 2017’s highest grossing film will mark Disney’s first title available in both Dolby Vision HDR and Dolby Atmos immersive audio. The digital release in HD, 4K Ultra HD, and via Movies Anywhere will happen on March 13. The Multiscreen Edition will include a Blu-ray and a digital copy, while the 4K UHD Collector’s Edition will include a 4K Ultra HD disc with Dolby Vision and Dolby Atmos, Blu-ray disc, and a digital copy. If you haven’t seen our review of Star Wars: The Last Jedi you can check it out below, and remember you can catch it digitally on March 13 or in 4K UHD or Blu-ray Multiscreen Editions on March 27!